Grand Central Life & Style, 9781455520510, 224pp. Melissa and Emily Elsen are sisters who were raised in South Dakota and worked in their parents' restaurant. They "have serious pie-making cred having grown up at the dough rolling elbow of their grandma Liz." (New York Magazine). 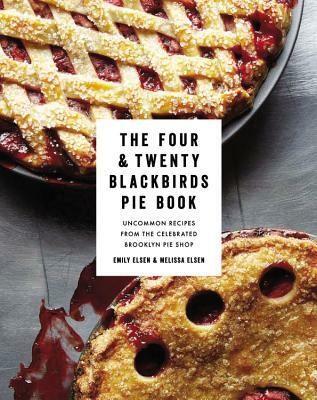 After pursuing different careers in their early adulthood, they built a business in Brooklyn, originally custom baking pies together in their Brooklyn apartment, and eventually opening 4 & 20 Blackbirds Cafe, which has been featured in The New York Times, Martha Stewart and in other great food media.